St. Elsewhere gets a nod in a PBS retrospective on medical dramas airing Tuesday, April 22. 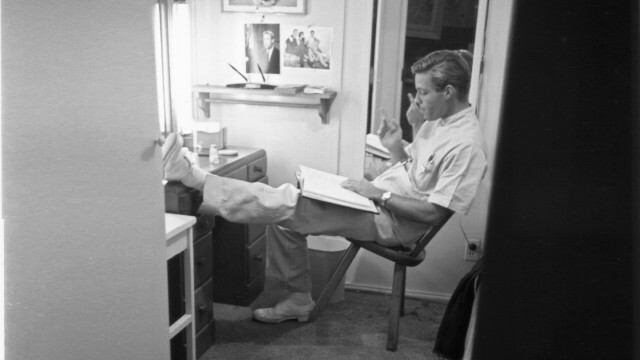 Richard Chamberlain on the set of Dr. Kildare. Fans of classic TV medical dramas are in for a treat this week. PBS.org's page on the upcoming program Doctors and Nurses includes a few paragraphs on St. Elsewhere. Check it out! There's a video preview there as well, but I have to assume that it is only viewable in the United States (where I do not live). If it contains any bits on St. Elsewhere, feel free to remark upon it in the comments thread. The 30 second preview clip includes snippets of interviews with some of the stars of popular medical shows. Ed Begley Jr. was the only one who was featured in the preview clip and he said, "It was the biggest innovation of medical shows that I'd ever seen and I just happened to be in it." I wonder if the show will feature any other new interviews with the cast and crew? Watched this show tonight. They interviewed Ed, Howie, Christina, and best of all Norman Lloyd. He said he really disliked the famous snow globe finale. Hard to believe he's still around, he's what 99 or so?